KeyShot is a dedicated CPU-based rendering program widely used for product visualization. But it’s also carved a niche for character artists coming from ZBrush. KeyShot appeals to users as it has a simple workflow shipped with realistic materials out of the box. This allows for faster iteration without ever leaving the software for authoring materials. 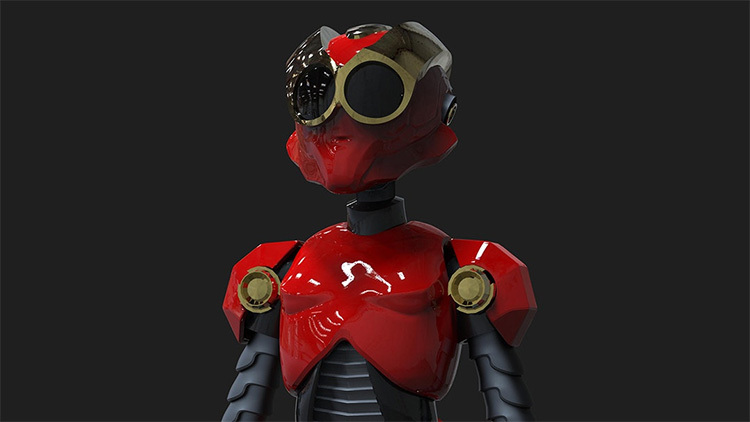 We’ve compiled a list of free and premium tutorials to jump start your rendering with KeyShot. This is a quick-start guide on how to use KeyShot. You will learn the basics starting from importing geometries to adding materials and finally rendering your scene. You’ll discover how easy it is to navigate within the software. Lighting is also covered even if you have no prior experience in photography, since you can light a scene with an HDRI image. It’s not as in-depth as the rest of the entries in this list but surely gives you a glimpse of how much KeyShot can do. In this one-hour webinar you’ll find an in-depth overview of KeyShot as well as the new features of the recently released version at the time of the recording – KeyShot 7. The video also covers transitional info if you were using any previous version. You’ll learn how to manipulate your imported models by creating and modifying models sets. With the built-in HDRI editor you’ll be lighting scenes in no time. Normally in other software you’d need to import a premade HDRI. In KeyShot you have full control over your HDRI which makes a big difference in workflow. You can even save your own HDRI for later use. Apart from the basic material creation you’ll also learn how to create a slightly complex metal material and add labels to renders. This other handy webinar cuts to the chase of KeyShot’s specialty: Rendering. Over the entire video you’ll pick up some tips for faster production. You’ll immediately learn why most products are shot using a longer lens, which you can mimic in KeyShot. You will also learn how to block not only your camera angles but also your materials. What’s nice about this is you can save your camera angles and swap them back and forth for checking or even for rendering. As KeyShot ships with its own HDRI editor, you can readily light your scene and add directional lighting for emphasis. This feature sets KeyShot apart from its competitors for faster lighting iteration. You’ll also get a glimpse of how to use the material graph. You’ll learn how to add bump height for more convincing labels. You’ll also learn how to align textures such as wood grain directions depending on the orientation of your model. Lastly you’ll learn how to use the region render to focus on specific sections of your image. In this way you can check the render quality without waiting for the whole image to be processed. You can then adjust samples accordingly. Here’s a webinar that you should definitely bookmark if you’re trying to learn materials. Here you’ll get an in-depth look at the material graph from start to finish. One big aspect is learning how to manipulate nodes to get the look you want. The first part explains the theory and the second part is hands-on with what the material graph can do. In essence, KeyShot’s material graph is a node-based visual editor. It’s more geared to advance material creation where you want layering such as paint on top of the metal. In this tutorial you learn how to combine bump textures and layering materials, among many other techniques. KeyShot is not really animation software. It does not have controllers or joints for deformation. 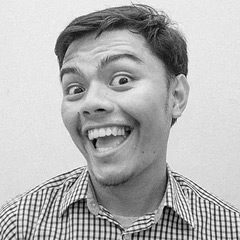 However, if you just want to create a short animation without going to other applications this video will show you the ropes. As an example you’ll learn how to animate an alarm clock. You’ll learn how to use the geometry editor to split objects fast. You’ll also get comfortable in using the timeline which is a big part of KeyShot. The author also gives some advice to make your animations more convincing. In this tutorial you’ll learn to render a complicated product: the iPhone. While it may look simple, it is not as straightforward as it seems. The main reason is that the iPhone is highly reflective and needs a precise light placement. More often than not you’ll need to include a light object that does not really illuminate the scene but will only serve as a reflection. You’ll also realize that with different angle might actually need a different light placement. This tutorial will show you how to deal with all those problems. In addition the phone also serves as a tricky subject to texture as it has several small parts such as a speaker, camera, and charger port that require close-up shots. The instructor here breaks down one of his lighting studies from start to finish. What makes this different from the previous tutorial is that it features an outdoor environment. As you might guess, most of KeyShot’s tools are for interior or studio-lit shots. But this doesn’t mean it can’t render exterior scenes! Follow along with this video to learn how to deal with some challenges on setting up an exterior scene. Specifically you’ll learn how to use trees to cast shadows that blend naturally in the scene. This video also shows how flexible KeyShot can be in dealing with such an environment. You can start with the sun and sky to make it easy. Changing the position of the sun by changing the scene’s internal clock, stuff like that. You can also modify the sun’s size to affect how soft your shadows look. This video will run you through creating an emissive light. KeyShot comes in several light objects that meet the majority of compositional needs. However for specifically well-lit objects, you might need a direct approach. Basically the object will serve as a lighting source through the use of emissive maps. This can be complicated but once you go through the tutorial it should make sense. This technique is particularly useful for neon sign effects along a dark alley, where the text itself will illuminate the scene. Here’s a video that shows how to make a pretty complex material. Essentially you’ll make two materials here: metal and paint. The trick is how to make them blend properly using opacity masks. This is where the Material Graph comes in. You’ll learn to utilize several nodes such as the color to number node, composite node, and curvature node. You’ll use a procedurally generated map called curvature to mask out the worn-out edges. Then you’ll blend the mask with a texture map to avoid a monotone look. Using a texture map will also give the impression of scratches which adds to the realism. Lastly you’ll be able to modify the bump height to give an illusion that materials stack on top of another. Very technical and very educational. So this is one heck of a tutorial showing how to create a makeshift wall and shelf lighting set-up. Since KeyShot is a photorealistic renderer you can mimic how you would light this scene in real life. Also since KeyShot is a digital tool you don’t need to exactly recreate the setup with 100% accuracy. This video will show you how to combine your real-world knowledge and digital flexibility together. You’ll be creating a beam of light across a wall using a few pieces of primitives that can act as window shutters. Flakes are a welcomed addition to KeyShot 8. It’s basically an object instancing system that is attached to a material. In this video you’ll learn how to use flakes to create more believability in your kitchen shots. You’ll need a block-out geometry to which the flakes will be an instance to, modify the flake parameter to make it look like wheat, and hide the block-out geometry. And since the flakes are built on materials you can use opacity masks to restrict the visibility of certain flakes. Pretty cool! Here the instructor runs through how to make photorealistic 3D renderings in KeyShot using one of the demo scenes provided within the software. This means basically everyone can follow along regardless of skill level. In this video the instructor gives an in-depth look at the image style feature. This is like a post-processing system built inside KeyShot. It has the usual suspects such as tone mapping and curve adjustment. Yet what makes it unique is you can have several different image styles all of which you can swap at will. In addition it doesn’t really affect the render time which makes the interactivity more engaging. This is a sped-up video where the author narrates the process and tries to explain as much as possible. Since it moves fast it can be better for more intermediate-level users. As such, it is not necessarily a video for beginners but it does belong here since it shows off a typical workflow for a character artist. The process starts with ZBrush for the character sculpt, then moves to KeyShot for rendering and finally Photoshop for compositing. Then lastly back to ZBrush or KeyShot for final touches. Your read that right. With KeyShot Bridge, an interactive plug-in between KeyShot and ZBrush, you can go back and forth while you’re creating the character. While it might sound unconventional, this prevents you from wasting any details that are not going to be transferred well into KeyShot. As an added bonus you’ll also learn how to use objects created in ZBrush as KeyShot lights. 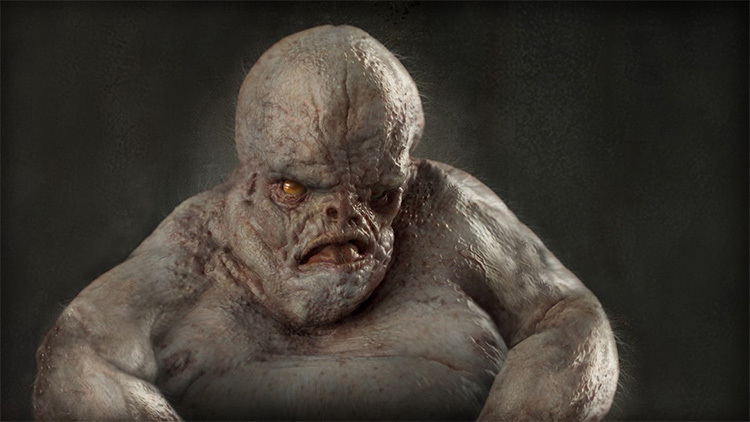 Having a well-sculpted Monster is one thing, but having a well-rendered Monster is crucial to any finished production. If you’re having trouble with rendering look no further than this detailed tutorial. You’ll learn how to properly prepare the intricacies of your characters & monsters for KeyShot rendering. You’ll also get an introduction on how KeyShot works with characters, especially on material creation and lighting. Alternatively you’ll also learn how to generate ZBrush’s passes to be composited in Photoshop. This is a massive guide to the rendering process for game assets or anything similar. Having worked with several shows that require realistic CG rendering, the author of this video series teaches you some professional tips and tricks on how to render assets realistically using KeyShot. You’ll learn how to import objects and use texture maps(made from other applications) for use within KeyShot. You’ll also learn how to achieve a realistic render, which shows that realistic lighting is a must. 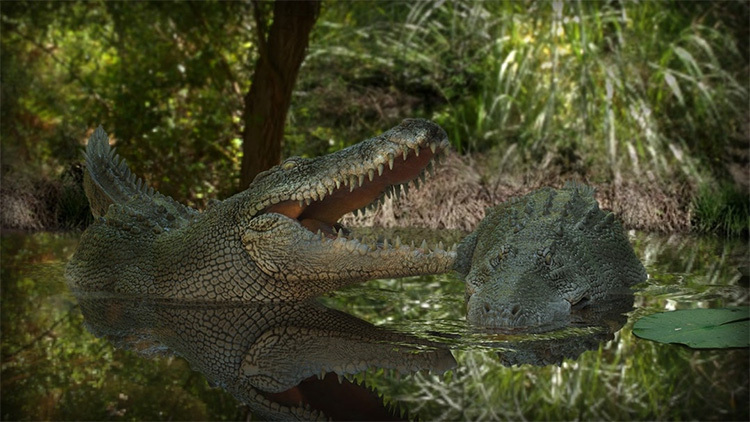 You can achieve this in KeyShot with the use of HDRI lighting which is also covered at length in this course. By now you’ve probably realized that ZBrush and KeyShot go hand-in-hand. The reason is simple: they have tight integration with the KeyShot Bridge plug-in. If you’ve never looked into a ZBrush workflow or 3D sculpting then this series might sway you in that direction. Apart from KeyShot Rendering, this course will also teach how to design hard-surface characters. You’ll learn how to use references to your advantage by picking details that matter most. You’ll then speed up your workflow by using ZBrush’s flexible DynaMesh feature. Any fans of sci-fi reading this? I really hope so cause this course should be right up your alley. 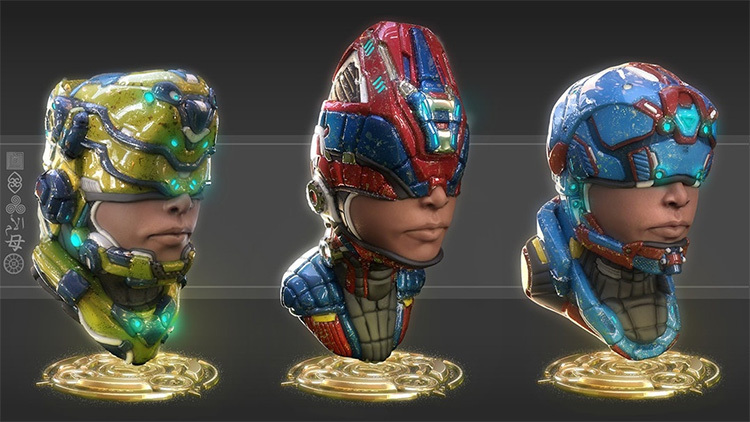 Here you’ll learn how to create futuristic busts for pre-visualization using ZBrush and KeyShot. You’ll learn an efficient and effective workflow for hard surface creation from a working professional in the entertainment industry. With KeyShot for reliable and fast rendering, you’ll be able to create a polished final piece with 3D work quality that could make it into AAA games. KeyShot earned its place not only because of its rendering capabilities, but also its flexibility to read files made by different software. In this course you’ll learn how to present a watch made from Rhino for KeyShot rendering. 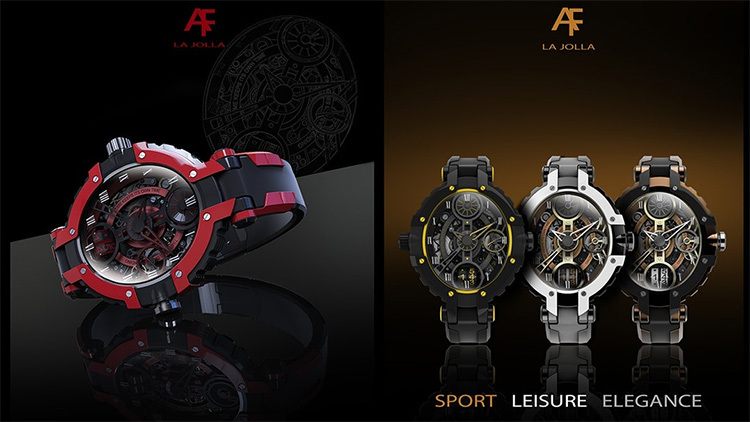 But it’s not exactly about the 3D watch: it’s more about the creative pipeline. You’ll learn how to prepare several color selections to sufficiently manage your material process. You’ll also learn how to make a realistic render as a final presentation for clients. 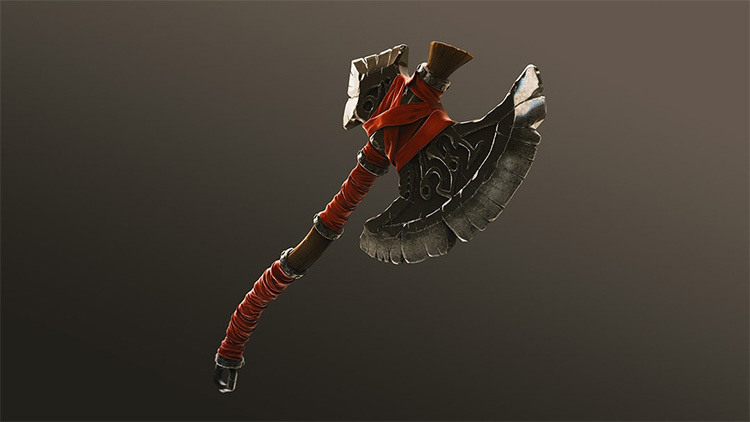 Last but certainly not least is this detailed video guide teaching you how to create stylized axes that can be used for games or films. We start by working from 3ds Max for blocking. This leads to creating the smaller details by sculpting in ZBrush. Finally we will render it all in KeyShot so it’s ready for a portfolio. As ZBrush sculpts are usually heavy, you’ll learn how to optimize your object by decimating before going to Keyshot. What makes this tutorial so interesting is how you’ll be creating different materials for fabric, metal, and wood. You’ll learn how KeyShot can easily make great-looking renders with very little user input—if you know what you’re doing.